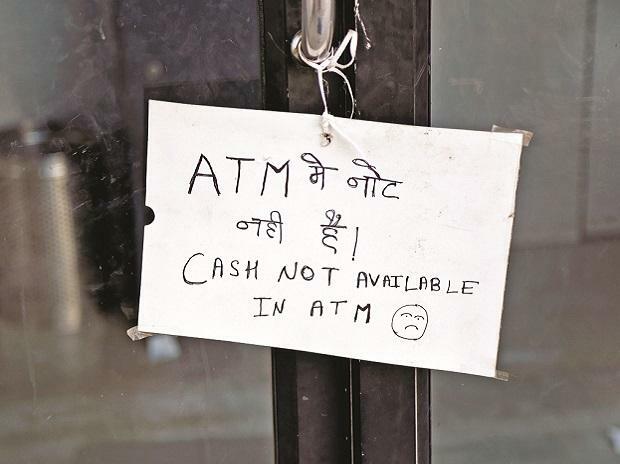 A parliamentary panel has asked the Reserve Bank to address the problem of perpetually dysfunctional ATMs so as to avoid any situation of forced cash crunch. The Standing Committee on Finance has also asked banks to install adequate number of ATMs. The panel tabled its report in Parliament last week. As per a data of RBI, there were 2,21,492 Automated Teller Machines (ATMs) in the country as at September-end 2018. These include 1,43,844 ATMs of public sector banks, 59,645 ATMs of private banks and 18,003 of foreign banks, payments banks, small fiance banks and White Label ATMs (WLAs), which are owned and operated by non-bank entities. "As digital transactions have not become anywhere near universal, the committee would urge upon RBI to pursue the lingering problem of dysfunctionality as well as shortage of ATMs vigorously with banks, while ensuring the economic viability of ATMs for all stakeholders, so that a forced cash crunch is not imposed on the public," the report said. The panel headed by senior Congress leader M Veerappa Moily also noted that RBI's remonetisation drive has not augmented/resolved the cash supply to ATMs in rural/semi-urban areas, forcing shutdown of many ATMs. The committee has expressed concern that "there are just not enough" ATMs being installed or added to cater to the rising demand for cash in an expanding economy, even as more and more debit cards are being issued and large number of Jan Dhan accounts opened by banks. ATMs have become an important channel for withdrawing money even after the close of banking hours. Digital transactions are also catching up. Besides ATMs, basic banking services are provided by business correspondents through their micro ATMs.